I enjoy modeling modern equipment but it is somewhat of a challenge in this scale due to the limited number of pieces available. 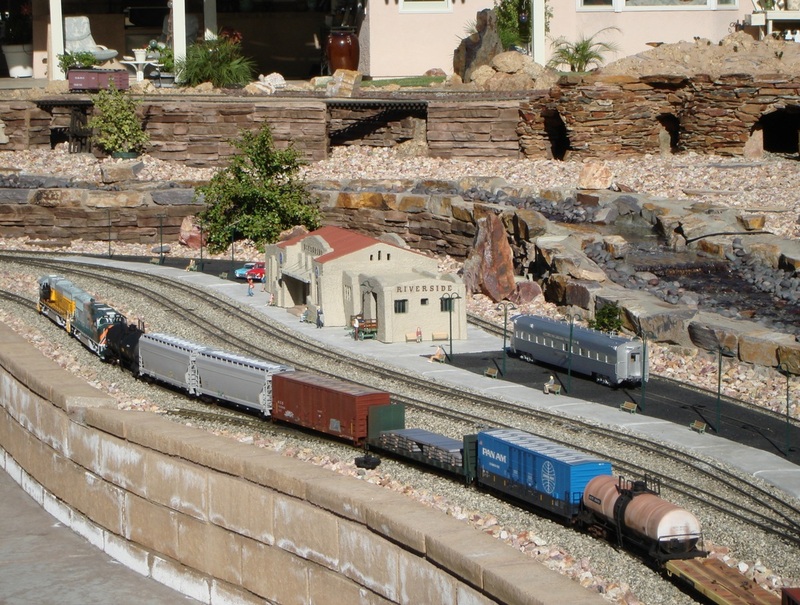 AristoCraft and USA Trains produce some great models for this time period however. I am currently working on detailing and weathering an intermodal and mixed freight train for the MANNM Railroad. I will update the pages whenever I finish another piece. 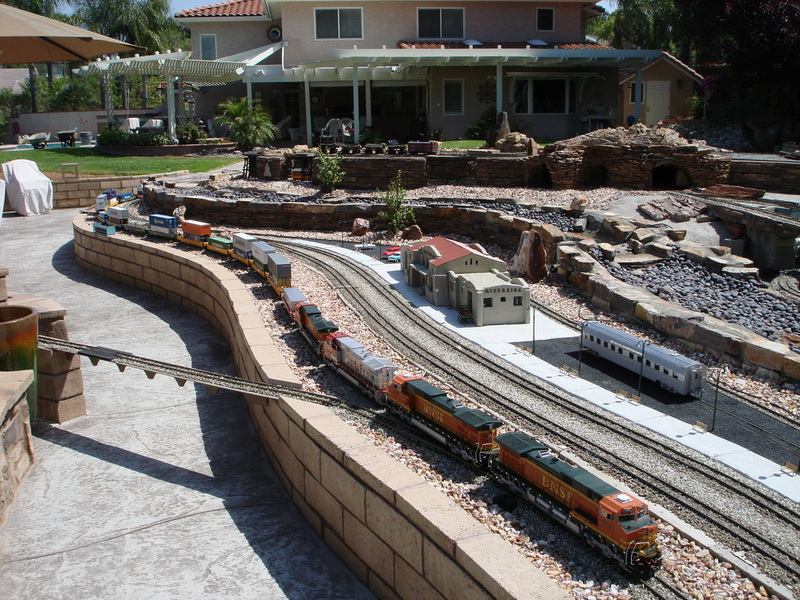 An intermodal train is led by four BNSF Dash - 9's. A mixed freight train led by two Union Pacific heritage units passes the Riverside station.